Mount Vernon had the chance to speak with Dr. Erik Goldstein about his new book, The Swords of George Washington. Learn more about the rich history behind Washington's collection of swords. 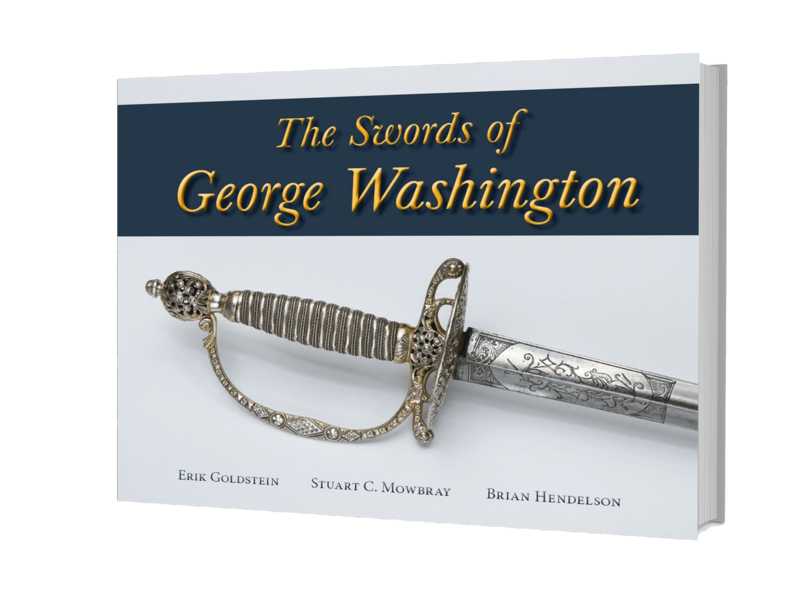 As we can see in your book, Washington owned a wide variety of swords. How did he view these swords? Washington’s range of edged swords spanned the civilian and military alike, and includes those with attributes of both. This was due to a number of contemporary factors, including form, function, and fashion. Some of his swords were gifts, offered as tributes, or acquired by descent, and reflect no choice of his, assuring that an interesting mixture of weapons came into his possession over the course of his life. However acquired, Washington saw them on the whole as indispensable accouterments to his masculinity which had to be chosen for wear with a good deal of thought. As he faced each day, he had to decide which of his swords, if one was required, was the most appropriate to be worn for the occasions ahead and those individuals he was sure to interact with. Was he about to lead troops into combat, go for a relaxing ride through the countryside or was he hosting a foreign dignitary at the executive mansion? The weapon that hung by his left hip was a direct reflection of not only Washington, but the gravitas of the situation he was a part of and those in attendance. While it is difficult to find a modern-day equivalent to the fashionable and functional sword, it is tempting to compare the phenomenon to expensive men's luxury watches, or custom leather shoes. Just as one wouldn’t wear dirty old sneakers to a business meeting, George Washington would not have chosen to wear an out-of-style and worn fighting sword to address Congress! Swords from this era seem like the perfect combination of art and form. How did sword fashion change during Washington’s lifetime? The varying types of swords in Washington’s possession followed a distinct evolution of form, much like American cars did throughout most of the 20th century. Just as decorative arts in his day morphed through the Baroque, Rococo and Neo-Classical styles, so did sword hilts. Any gentlemen who had the desire to be seen as up-to-date had to keep up with these evolving trends, and Washington was no different. If we look at his smallswords, represented by four examples, we see the pinnacle of British sword hilt fashion as it spans the 1750s through the 1790s. All of these swords are architecturally identical but look strikingly dissimilar; we start with delicate and restrained gadrooning and end up with polished steel studs and filigree. A similar evolution of fashion and desirability can be seen in his choice of cuttoes. Washington’s lion-head example was superseded by the silver and ivory hilted cuttoe in the late 1770s, perhaps due to the association between a lion and Great Britain. Since cuttoes were falling out of use by the time Washington became President, there is no evidence that he ever acquired another in the pursuit of fashion. Where did Washington obtain his swords? While we don’t know for sure when Washington obtained his first sword, he may well have been given one by an older male member of his family. The earliest sword known to have been his, the onyx handled cuttoe, dates from the early 1690s and is most likely an ancestral piece. Next in the chronological progression of Washington’s swords is the silver hilted smallsword of 1753, which was almost certainly acquired in conjunction with his first appointment to Virginia’s Militia. Just as this smallsword is English, the next two swords ordered by Washington came through agents in Britain, and were purchased from first rate sword cutlers in London. His latest smallsword, that hilted in polished steel, is also British. Not just a patron of fine goods from the motherland, Washington’s two Revolutionary War cuttoes were both American; one is thought to have been made in Philadelphia by an unknown craftsman while the other was wrought by John Bailey near Fishkill, New York. Other swords were European-made gifts, including one thought to have been presented by his dear friend the Marquis de Lafayette. Of all his swords, that presented by Theophilus Alte, a Solingen craftsman, generated the greatest mystery in Washington’s mind, and thus the greatest trail of sword-related paperwork to survive amongst his corpus of writings. Were any of Washington’s swords ever used in combat? There is no doubt that Washington had a sword at his side each and every time he put on his uniform and appeared at the head of his command, either in the French and Indian War, the Revolutionary War, or in his role as Commander in Chief while President of the United States. That being said, it would be a mistake to imagine Washington brandishing his sword like a brigand and slicing his way through a line of hapless “redcoats” at the head of the Continental Army. As a proper gentleman, he was well aware of what and what not to do with a sword, so it’s a safe bet that Washington’s sword spent most of its time in its scabbard during the epic battles of the American Revolution. In the section of his will dealing with his swords, Washington directs the five nephews receiving a sword to keep them sheathed, except to defend one’s self or one’s “Country and its rights.” In contrast to his commanding role in Revolutionary battles, if one pictures the 1753 smallsword he carried during 1750s battles like Braddock’s Defeat, it is correct to envision it unsheathed and in hand as Washington defended himself against the French and Indians who ambushed the doomed British and American column. You’ll find swords in many of the most famous paintings of Washington. Has this artwork helped with any of your research? Without a doubt, the appearance of a number of George Washington’s swords in early paintings has been an invaluable aid to the study of the subject. They are a concrete visual link between the swords and George Washington as a human being. With decent photography not appearing until many decades after Washington’s death, one has to rely on contemporary, or nearly contemporary, artwork to know what these relics looked like. Because of artists like Charles Willson Peale, we know that Washington’s best sword at the time was the 1767 smallsword, since he chose to be portrayed wearing it in the 1772 canvas. A few years later, Peale painted Washington again, but as Commander in Chief of the Continental Army. This time the General chose to be depicted wearing the Bailey silver and ivory hilted cuttoe. Perhaps its appearance in this portrait inspired Emanuel Leutze to include his somewhat ill-informed interpretation of the same sword in his 1851 masterpiece “Washington Crossing the Delaware.” Other artists working after Washington’s death also included accurate representations of true Washington-owned swords. When John Vanderlyn executed his version of Gilbert Stuart’s “Lansdowne Portrait” of Washington, he included a clear depiction of the steel hilted smallsword. Since this sword was still in family hands, the artist must have had access to the actual weapon, then the property of George Corbin Washington. Under the terms of Washington’s will, five of the swords in his possession at the time of his were directed to five of his nephews. Listed by their full names, these nephews were to choose the swords they wanted in the order their uncle listed them, and so they did – sort of. While there were apparently no shenanigans attempted, and all shared a desire to respect Washington’s wishes to the word, the logistics of the period prevented a gathering of all the nephews at one time. William Augustine Washington, the first nephew directed to pick a sword, could not attend the choosing at Mount Vernon, and had his cousin Judge Bushrod Washington pick a sword for him. Judge, who had fourth choice, opted for the most expensive-looking sword on behalf of his absent cousin, while choosing the rather pedestrian 1767 French epée for himself. Clearly, he was an honorable man. Samuel Washington, assigned the fifth and final choice by his uncle, secured the sword he wanted most by dropping a strong hint before the choosing began. The others gladly deferred, allowing him to receive the Bailey silver and ivory hilted cuttoe. Tell us more about some of the interesting and controversial figures who were connected to Washington’s swords after his death. All of Washington’s known swords were still in the hands of family members until the early 1840s. In 1843, the son of Samuel Washington offered the Bailey cuttoe to Congress, making the American people the first recipient of one of these sacred items. As the Civil War loomed, all the others remained as cherished family relics, although one did attract some highly unwanted attention. 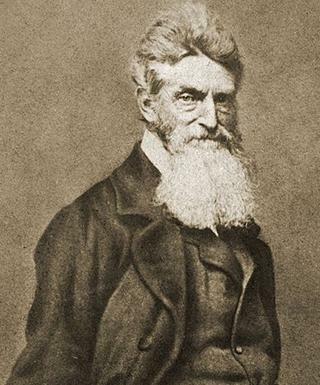 Seeking some sort of talisman to ensure his success, noted abolitionist John Brown commissioned the theft of the steel-hilted smallsword, in addition to the kidnapping of its owner, Colonel Lewis William Washington. The Colonel got the sword back, and Brown went to the gallows in the end. Regardless of the happy ending for the sword, the Civil War caused a reversal of fortunes for many Washington family members, and the last half of the nineteenth century saw many of the swords migrate out of the hands of those who had protected them since Washington’s death in 1799. On their way to the institutions that now own them, swords passed through the posh showroom of Tiffany’s in New York City, were recommended for state acquisition by a corrupt Tammany Hall politico and were purchased by the most famous “robber baron” of the Gilded Age in America. Have most or all of Washington’s swords survived to today? And are the swords on public display? 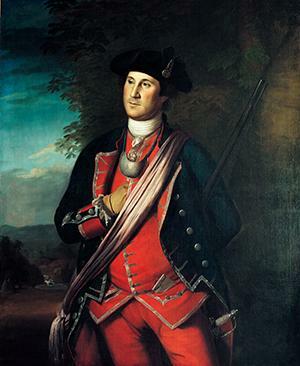 In addition to those covered by The Swords of George Washington, we know of two which were purchased by Washington that are “whereabouts unknown” today. One was an openwork silver hilted military sword that was purchased from London in 1757 and the other was a blackened “mourning sword” Washington ordered in June of 1773, likely to express grief at the death of his step daughter Patsy. Surely there were more swords that were owned and used by Washington. Whether they have since been destroyed or have now become separated from their histories, it’s nice to think that another may show up sometime in the future. Regardless, it is safe to assume that the swords of Washington will endure as objects of great interest, in perpetuity. There is and will always be a popular demand to view them, which is why just about all of them are on public display just about all of the time. Do you have a favorite Washington sword? Not a fair question at all! Let’s start by saying that I have a least favorite sword – that’d be the Alte presentation sword, not that I don’t love it. First off, it arrived in a highly irregular fashion, and with a request for money to boot. Although it is a fine example of the craftsman’s art, I try to see it the way I feel Washington would have seen it. It’s a rather poorly-balanced cavalry sword, oozing with embellishment, of a type Washington would have had no practical use for. The etchings on the blade, although beautiful and well done, are over-complimentary and seem like the sort of thing he would not have cared for; much like he was opposed to his portrait appearing on the circulating American coins of the period. I think he saw the Alte sword as a curiosity, making it far less interesting to me than something he chose for himself and actually wore. 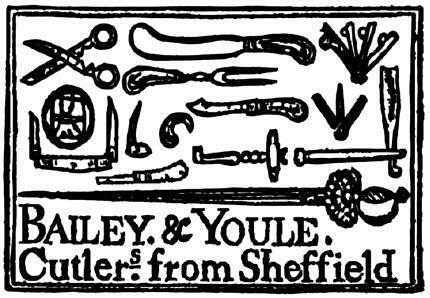 But if I had to give a top nod to one of Washington’s swords, I’d have to say the Bailey cuttoe has everything going for it that an aficionado of American swords would want! 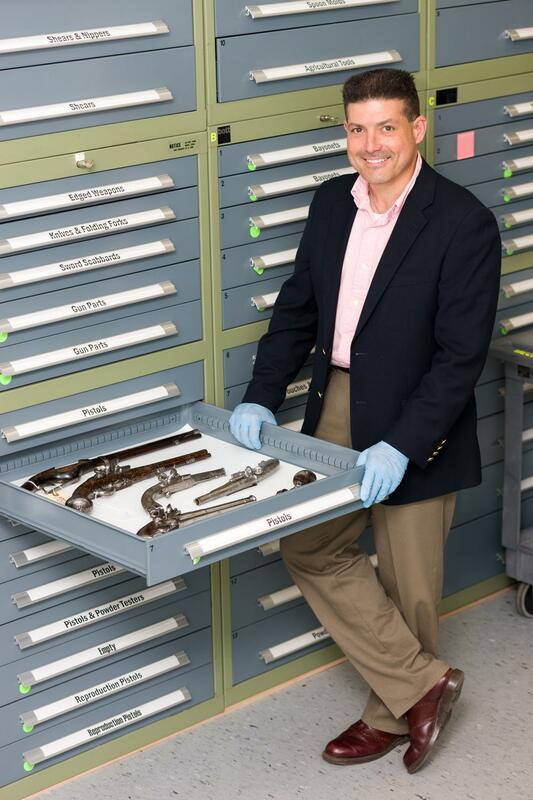 Erik Goldstein is Curator of Mechanical Arts & Numismatics at the Colonial Williamsburg Foundation. He originally hails from New York City, and is a lifelong student of the numismatics, arms, military history and the material culture of the 17th & 18th centuries. After receiving a BA in Fine Arts/Illustration from Parsons School of Design, he joined Harmer Rooke Numismatists, also in New York City, before spending the next 12 years as a professional numismatist and consultant. In addition to more than two dozen articles in both specialties, he has authored six books relating to antique weaponry and military history; The Bayonet in New France 1665-1760 (1997), The Socket Bayonet in the British Army 1687–1783 (2000), 18th Century Weapons of the Royal Welsh Fuziliers from Flixton Hall (2002), The Brown Bess, an Identification Guide (2010), Ray’s Story, A Lost Air Gunner of the 454th Bomb Group (2013), and most recently The Swords of George Washington, published in early 2016. Goldstein’s awards include the “Man at Arms Cup” for outstanding service to the field of Arms & Armor in 1997, the Numismatic Literary Guild’s Best Article award for 2010, and an honorary Doctorate of Numismatics from the Florence Schook School of Numismatics at the American Numismatic Association. As military weapons or fashionable accessories, swords were always at George Washington's side.